While some radicals fought against a system that they saw as rigged, other radical acts came from the world of privilege. Alida Sprague Whitmarsh was born into a wealthy family but devoted herself to helping the poor working women of Providence. In 1887, she and Harriet Richards formed the Mt. 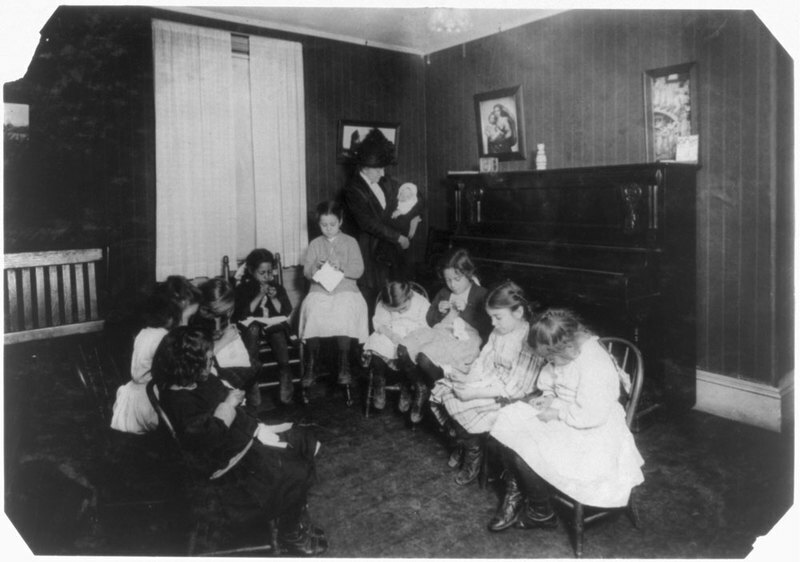 Pleasant Working Girls Club & Library, later Sprague House, to provide training and assistance to the young Irish women working in the mills. In 1910, recognizing the great need in the densely settled Italian neighborhood, they occupied a tenement in this house and relocated here entirely in 1914, becoming Federal Hill House. Settlement houses provided medical and food aid, language classes, and skills training to immigrants trying to navigate a new country. Early emphasis was on assimilation, but sensitivity to native cultures developed over time. Federal Hill House was known for its baby clinics and free milk, sewing, pottery and language classes, and social organizations for boys and girls. No longer Irish and Italian, today’s immigrants come from across the globe. Federal Hill House has a 130-year tradition of providing community and support to thousands of city residents, both newly arrived and native born. A video created by the Federal Hill House organization in celebration of its 125 year anniversary. ~ Source: FederalHillHouse. “Federal Hill House.”YouTube, YouTube, 30 Aug. 2012, https://www.youtube.com/watch?v=3z71iZWBAFg. Sprague House Settlement: “Exterior of Sprague House Settlement Providence, on Saturday morning. The house was so full that these children could not go in." c. 1912. ~ Source: Caption and photograph from Lewis Wickes Hine collection at the Library of Congress. Sprague House Settlement Class: “Sewing class in Sprague House Settlement Providence, R.I. The Director is holding a newly-arrived deserted baby.” c. 1912. ~ Source: Caption and photograph from Lewis Wickes Hine collection at the Library of Congress. 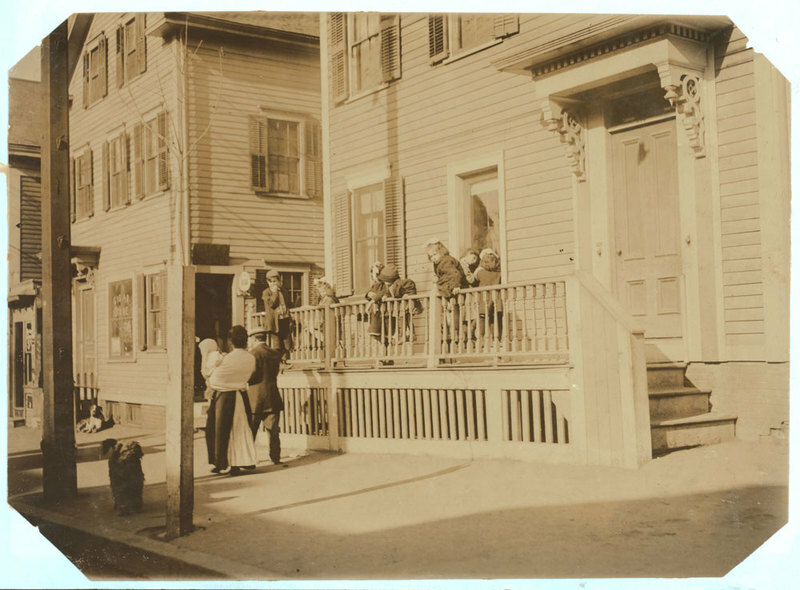 Taylor M. Polites, “Federal Hill House,” Rhode Tour, accessed April 21, 2019, http://rhodetour.org/items/show/154.